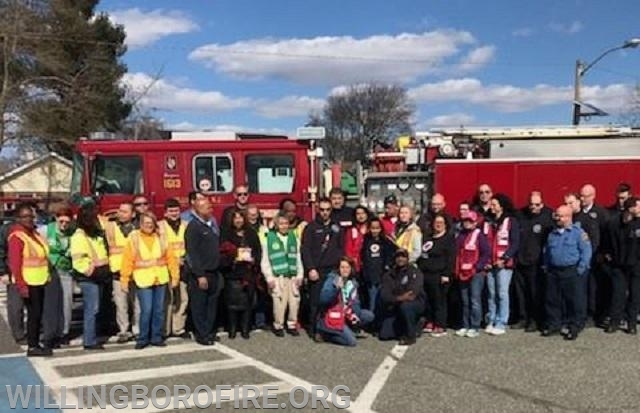 Willingboro Firefighters assisted American Red Cross personnel with handing out free smoke detectors and fire prevention materials on March 16th. The event was conducted as a part of the American Red Cross Home Fire Campaign. 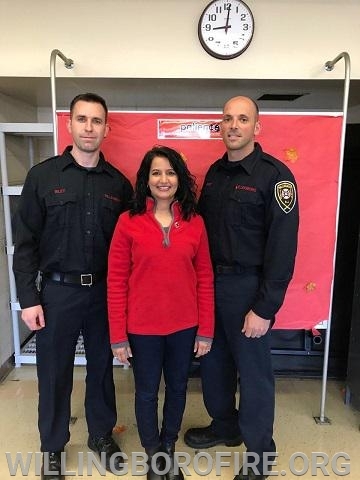 This program partners with fire departments from throughout the country to install smoke detectors, and distribute fire prevention and safety materials. During the previous three years the program installed 859 smoke detectors in township's Buckingham, Fairmount, Somerset, and Pennypacker parks. 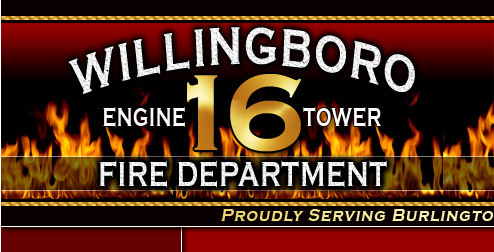 This year's program was conducted in the Millbrook Park section of town. In addition to fire department staff, there were over 30 volunteers on hand to assist with the distribution of the smoke detectors and the fire prevention and safety materials. 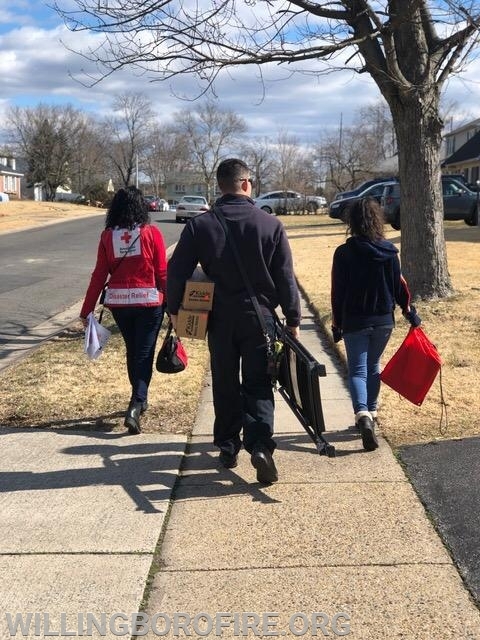 During the four hour event 141 smoke detectors were installed in 97 homes, and 315 people were educated about fire safety and preparedness. 1. 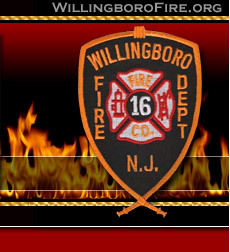 Stop by or call our temporary Fire Headquarters at 40 Middlebury Lane, (609) 871-7476 to schedule an appointment for us to install them for you. 2. Stop by our display at any township event to schedule an appointment for us to install them for you. The department also has a limited supply of 9-Volt batteries available that we will install in your smoke detector.